The first step to treating hearing conditions is accurate diagnosis. We offer a range of industry-standard diagnostic tests, performed by our experienced audiology team in comprehensive hearing assessment facilities. This hearing test determines the degree and type of hearing loss by measuring the softest level of sound a patient can hear at different frequencies. Headphones are worn and the patient is requested to respond by pressing a button. Used to measure eardrum movement, this test helps detect any perforation of the eardrum or any middle ear disorders that may be present.Used to measure eardrum movement, this test helps detect any perforation of the eardrum or any middle ear disorders that may be present. As a measurement of the ear’s natural reflex to lower the intensity of loud sounds, this test provides additional information on the patient’s hearing levels and neural pathways. This test is used to measure the patient’s ability to correctly repeat words in quiet or noisy conditions. 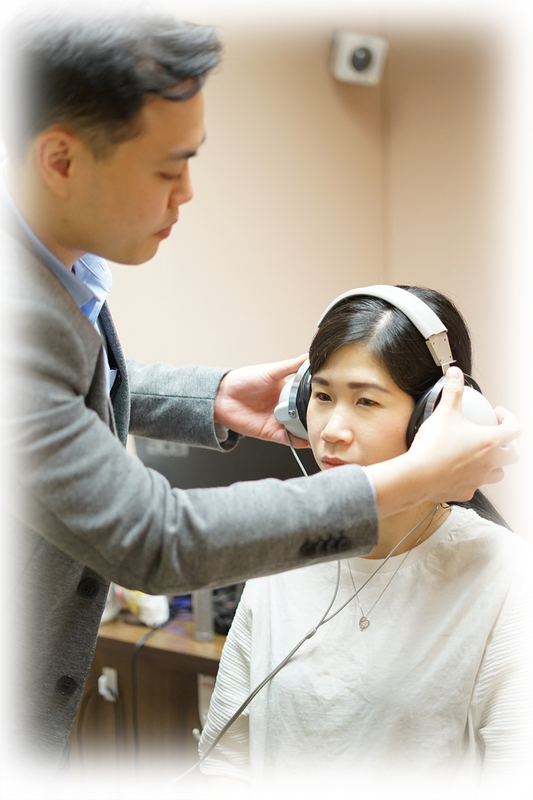 It is also used to evaluate the functional performance of patients who wear hearing aids and/or cochlear implants.